I believe the narcissist in all of us makes us a little keener on anyone who reminds us of ourselves. Similarly, we find people with the same habits, same color hair, eyes, and yes, same name as ourselves. So meet our new bride, Madhubani Chakraborty, who got married in January this year. She stays in Mumbai and had her wedding took place in her hometown Kolkata. So lots of tips for brides from Bombay and Calcutta. An ardent animal lover, Madhubani describes herself as an intrepid who possesses a wicked sense of humour. Lawyer by profession and gourmand by passion, she likes to chronicle her culinary explorations on her Facebook page called 'My Confessions of Gluttony'. It may sound boring if I say we met on shaadi.com, however there were quite a few twists. Once I got his number our first conversation went on for 45 minutes or so. While I appeared strange because I asked HR type questions like "where do you see yourself 5 years from now?". He, on the other hand was quite friendly. We kept chatting over phone for about a week and then decided to meet. He lived in Delhi, while I was in Mumbai. His parents lived in Guwahati and mine, in Kolkata. Too many cities meant a lot of travelling. But, something told me I should meet and decide. I told my family I wanted to go to Delhi. They vehemently opposed this thought saying that instead he should come down. Yet I managed to convince them and met him in Delhi. We liked each other on our first date, and told our parents to initiate discussions. To cut a long story short, we met about 4 times and got engaged in June last year. In fact, because of multiple cities, not everyone could meet together. My father saw him for the first time on the day of our engagement and his father saw me for the first time also on the same day. We knew the wedding date in June, so that gives us about 6 months. However, we started doing actual work fairly late, only after Pujo. We first got about preparing a guest list. The list is very important and takes quite a while to be made. It keeps getting updated till the last week before the wedding. It’s important to first get a head count for every occasion. I had a mehendi day, a sangeet evening and the wedding evening to plan. Once we confirmed the guest list of about 800 people, we sorted the catering out. Most caterers in Kolkata can manage about 500 heads, but for larger crowds, I needed a pro. We confirmed with Kohli Caterers, who did a fantabulous job with catering on all days, extensive menu and delectable food. Since my father is a member of one of Kolkata's premier clubs, venue and decor was not an issue and was booked in advance. With these three main issues in stride we started printing cards in October, sorting out invites and following up with calls and messages to confirm head counts. Next, the eldest jethi/aunt of the family took charge of all rituals and coordination with the Pandit ji. We had outstation guests so booking of hotels (with tentative room count) and arranging for rented cars for three days was coordinated by my sister. It’s very important to allot responsibilities to key and responsible members of the family and have meetings every evening to discuss progress and pending tasks. We did this for about 15 days before the wedding with check lists. Tell us something about where you got your outfits and your makeup and hair done? My mehendi outfit was designed by Sweta Kedia, who is a couturier from Mumbai and has a store by the name "Origin" in Prabhadevi. We discussed what I'd like to wear and color combinations, and she made me a perfect outfit of mint green and pink, very much on the likes of a design I had wanted. With the outfit I wore diamond polki earrings. Make up and styling were done by Fashion Make-up Artist Sujit Paul and Fashion Designer Rajarshi Mukherjee. My sangeet outfit was from Kalki, Worli. It was a timeless sunset orange color that I had chosen. I always wanted to wear a lehenga I knew I couldn’t wear one for the wedding because it had to be a Benarasi Saree, I chose a lehenga for the Sangeet evening. It had a stunning broad border, with gold gota patti and sequence work on it. Designer and family friend, Meena Dholakia designed a beautiful low back short choli adding a modern twist to this otherwise traditional look. I draped the dupatta like a saree since as per the stylist it would add height and look better on my broad frame. Again, make up was done by Sujit. With this I wore a diamond polki set (earrings, maang tika and necklace along with a wristlet) that was a wedding present from my aunt. The wedding had to be traditional. I picked up the Wedding Benarasi saree from Indian SIlk House Exclusives (Lake Road). 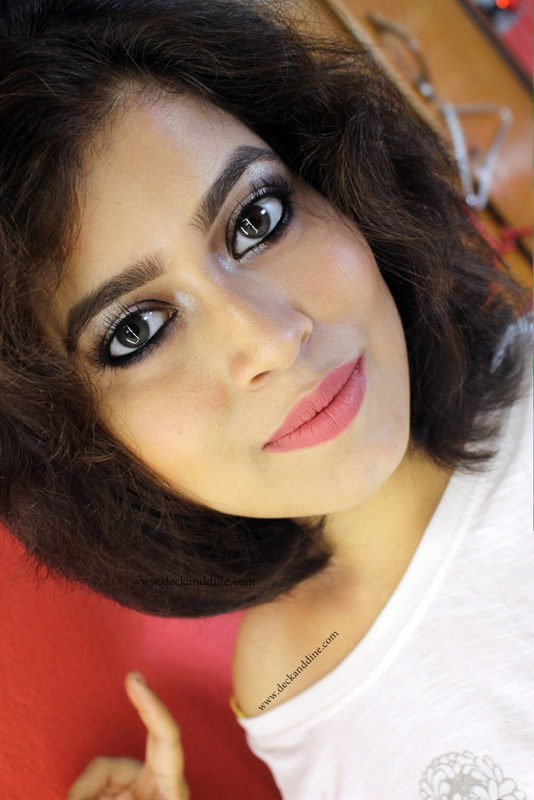 For the wedding evening, I wanted to look soft and natural and approached the best, Avijit Chanda who I had heard of before, but after seeing him on Band Baaja Bride, I really wanted my make up to be done by him. Avijit has a team of stylists and artists who take care of hair, makeup, chandan design and saree draping. There was a lot of jewellery on my wedding evening that I had to wear. I wore an ear shaped gold earring called a "kaan" with jhumkas. I had a meenakari necklace, a gem studded jarawa necklace with intricate work, a sita haar and some other heirloom jewelry. Most photographers are booked during the season unless you book way in advance. They come for an exorbitant price and can range from anywhere between 70k - 4 Lakhs. We made the mistake of keeping this for the end, and had to settle with whoever was available. Our photography was done by Sunil Kapta and his son, Shrikant (based in Kolkata). I wasn't expecting much, yet they did a great job. I really like the photographs, angles and how they captured every moment perfectly. I think the entire wedding was very special, including all moments. Now I know why they always said, it’s the best day of your life yet everything will seem like a haze! They are plenty of moments, a few like when my brothers' lifted me on the piri (wooden plank) to take me around the groom, how I was totally not the "shy bride" during shubho drishti and looked straight in eye, and ohh.. memories of the food at my wedding that I couldn't relish to my heart’s content. Yes. Dear prospective brides/grooms and their family members, Wedding planning means a lot of hustle bustle, fun yet major goof ups, glitches, inflated egos and emotional break downs. The Bride and the Groom should keep calm, stick on with a smile through all ceremonies and never discuss goof ups and whose relatives did what, post their wedding. Brides should only focus on their trousseau, outfits and make up. Amidst all the craziness, I missed taking a picture with my grandfather on my wedding day and I feel really bad about it. So take pictures with everyone. Focus on having at least one picture with every person who comes to the wedding. And have the best time, laugh wholeheartedly, and cry if the situation makes you emotional. Make the most of every moment. Loved all of her looks. From her wedding trousseau to her makeup and choice of jewelry, everything was perfect and she looked flawless. Lovely!! As always you are fantabolous in writting down the blushing bride. I always enjoy this column of yours. 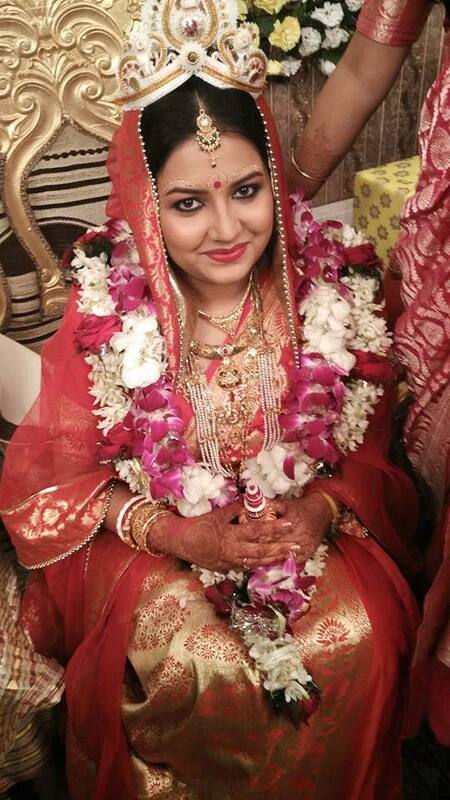 Madhubani the bride, you look lovely and your smile is really pretty. Have a lovely life ahead. We haven't attempted it yet and I'm worn out on giving my children gaterade or juice in their snacks. They grumble when I simply give water, so I think this would be an incredible option! You can compose your papers all alone, yet you can't promise top evaluations. It is difficult to coordinate the quality an expert essayist is equipped for creating. They meet every one of your necessities and compose your essay without any preparation to help you get top evaluations only.Through essay writing service review you can get best exposition administration, it gets you decent evaluations.